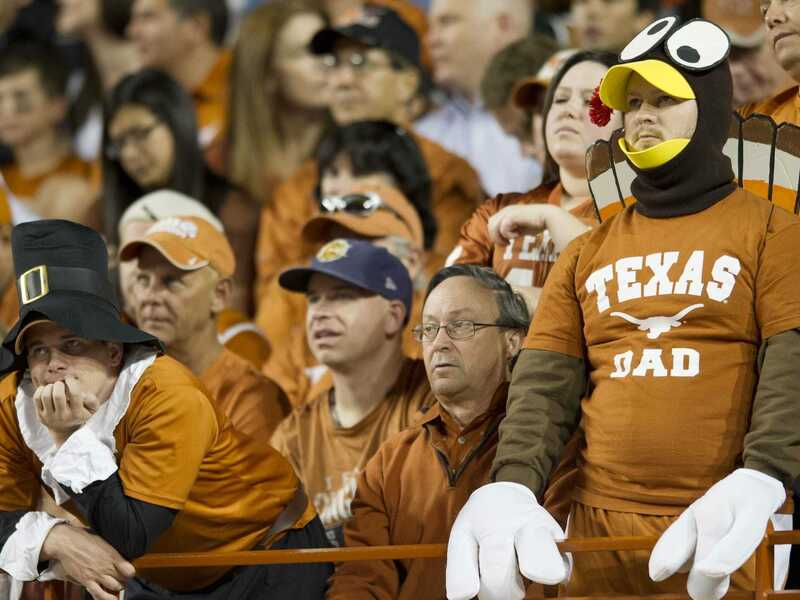 Goldman Sachs went to Texas last week and found one thing: resignation. On Friday, West Texas Intermediate crude prices closed right around $US76, while Brent crude prices were just above $US79. 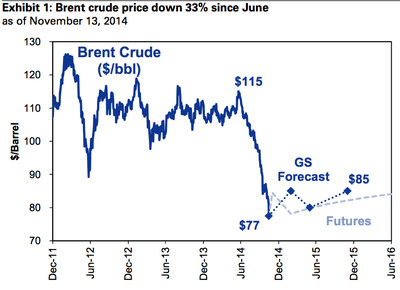 Kostin notes that Brent prices are down 33% since June, while WTI has declined 30% over that same period. Last week, Business Insider’s Tomas Hirst summarized the three major catalysts people are pointing to as the reasons for the tumble in oil prices: slowing global growth, increasing supply, fewer disruptions in global production. But as Kostin writes in his report, “investors are still stunned” by the recent decline. 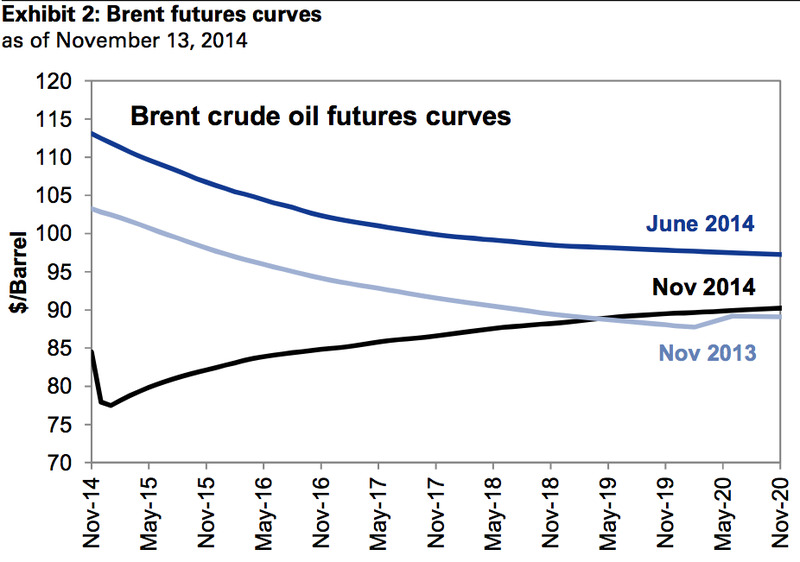 And while the futures market was certainly expecting oil prices to decline through the end of the decade the recent plunge in oil has reshaped this curve and pushed expectations for prices over the next two to three years sharply lower. As for how this will impact oil production, Kostin expects that $US75-$US80 a barrel for WTI crude is the point at which US shale producers will reduce activity, and that Saudi Arabia’s breakeven oil price for a balanced budget is right around $US75. 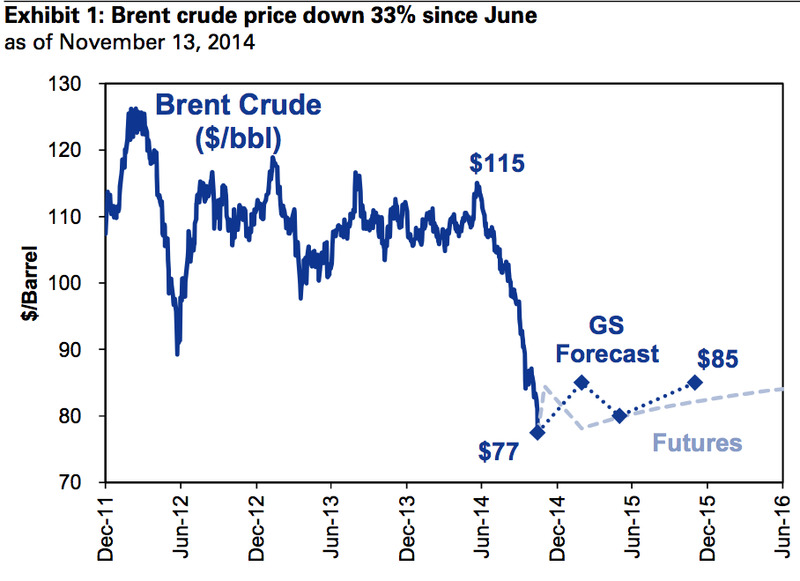 For 2015, Goldman expects Brent prices to be around $US84 and WTI to be around $US74, and so the firm thinks we will see a reduction in Saudi production and US shale growth. A report by The Dallas Morning News last week said crude oil production in Texas has more than doubled since 2010. And while Kostin writes that capex growth from oil companies, which has accounted for 1/3 of the S&P 500’s capex over the last five years, will likely be flat in 2015, overall capex should grow 6% in 2015. Energy companies also account for about 10% of the S&P 500’s earnings and 9% of its market cap, Kostin writes. But as lower gas prices are passed through to consumers, and lower input costs benefit some companies, every $US10 decline in the price of a barrel of oil should increase 2015 earnings for the S&P 500 by $US2. 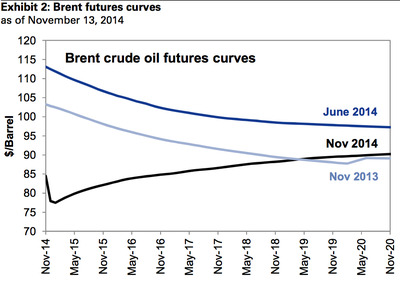 Here’s the chart of Goldman’s crude outlook.